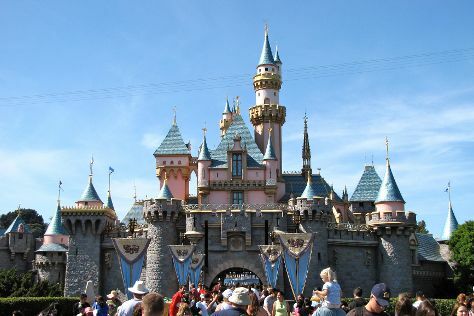 On the 5th (Fri), make an unforgettable trip to Disneyland Park. For where to stay, other places to visit, and tourist information, read Anaheim trip planner . Sydney, Australia to Anaheim is an approximately 18.5-hour combination of flight and bus. You can also do a combination of bus and flight. The time zone changes from Australian Eastern Standard Time (New South Wales) to Pacific Standard Time, which is usually a -18 hour difference. Plan for warmer temperatures traveling from Sydney in July, with highs in Anaheim at 35°C and lows at 23°C. Finish your sightseeing early on the 5th (Fri) so you can drive to Death Valley National Park. Kick off your visit on the 6th (Sat): explore the striking landscape at Zabriskie Point and then contemplate the waterfront views at Badwater Basin. To find ratings, maps, and more tourist information, go to the Death Valley National Park trip itinerary planning site . Traveling by car from Anaheim to Death Valley National Park takes 4.5 hours. Alternatively, you can do a combination of flight and bus; or do a combination of bus and flight. Traveling from Anaheim in July, you will find days in Death Valley National Park are somewhat warmer (45°C), and nights are about the same (26°C). Wrap up your sightseeing on the 6th (Sat) early enough to drive to Grand Canyon National Park. 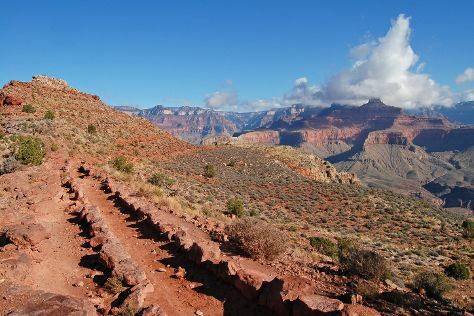 Start off your visit on the 7th (Sun): trek along South Kaibab Trail, stop by Canyon Village Marketplace, then explore the stunning scenery at Grand Canyon South Rim, and finally explore the stunning scenery at Yavapai Point. On the next day, get great views at Mather Point and then hike along Rim Trail. To find where to stay, reviews, more things to do, and other tourist information, go to the Grand Canyon National Park road trip app . Drive from Death Valley National Park to Grand Canyon National Park in 7 hours. Due to the time zone difference, you'll lose 1 hour traveling from Death Valley National Park to Grand Canyon National Park. While traveling from Death Valley National Park, expect a bit cooler days and cooler nights in Grand Canyon National Park, ranging from highs of 34°C to lows of 13°C. Wrap up your sightseeing on the 8th (Mon) to allow time to travel to Sequoia and Kings Canyon National Park. Kick off your visit on the 9th (Tue): explore the striking landscape at Moro Rock, delve into the lush surroundings at Giant Forest, and then explore and take pictures at Generals Hwy. Get ready for a full day of sightseeing on the next day: stroll through Zumwalt Meadow Trail, then explore the striking landscape of Kings Canyon National Park, and then admire the sheer force of Grizzly Falls. To see ratings, more things to do, where to stay, and other tourist information, read Sequoia and Kings Canyon National Park trip planner. You can do a combination of bus and flight from Grand Canyon National Park to Sequoia and Kings Canyon National Park in 9 hours. Alternatively, you can do a combination of bus, shuttle, and flight; or take a bus. Traveling from Grand Canyon National Park to Sequoia and Kings Canyon National Park, you'll gain 1 hour due to the time zone difference. Plan for a bit warmer temperatures traveling from Grand Canyon National Park in July, with highs in Sequoia and Kings Canyon National Park at 43°C and lows at 22°C. Finish up your sightseeing early on the 10th (Wed) so you can catcht the bus to Yosemite National Park. On the 11th (Thu), take in the dramatic scenery at Yosemite Falls, get great views at Tunnel View, then take in the dramatic natural features at Glacier Point, and finally make a trip to Olmsted Point. Get ready for a full day of sightseeing on the 12th (Fri): take in the dramatic natural features at El Capitan, stroll through Nevada Falls Loop, and then hike along Panorama Trail. To find other places to visit, where to stay, reviews, and other tourist information, use the Yosemite National Park driving holiday planner. Getting from Sequoia and Kings Canyon National Park to Yosemite National Park by bus takes about 7 hours. Expect a bit cooler weather when traveling from Sequoia and Kings Canyon National Park in July: highs in Yosemite National Park hover around 33°C, while lows dip to 9°C. Finish your sightseeing early on the 12th (Fri) so you can drive to Carmel. Carmel-by-the-Sea, often simply called Carmel, is a city in Monterey County, California, United States, founded in 1902 and incorporated on October 31, 1916. Discover out-of-the-way places like Carmel River State Beach and Point Lobos. Get outdoors at Monterey Bay and McWay Falls. Step out of Carmel with an excursion to Julia Pfeiffer Burns State Park in Big Sur--about 1h 05 min away. Spend the 14th (Sun) observing fascinating marine mammals with a dolphin and whale watching tour. There's more to do: look for gifts at The Cheese Shop. To see more things to do, traveler tips, other places to visit, and more tourist information, read our Carmel tour itinerary planning tool . You can drive from Yosemite National Park to Carmel in 5 hours. Other options are to do a combination of car and flight; or do a combination of car, flight, and shuttle. When traveling from Yosemite National Park in July, plan for a bit cooler days in Carmel, with highs around 24°C, while nights are a bit warmer with lows around 15°C. Wrap up your sightseeing on the 15th (Mon) to allow time to drive to San Francisco. Kick off your visit on the 16th (Tue): don't miss a visit to Ferry Building Marketplace, then contemplate the long history of City Lights Booksellers, then head off the coast to Alcatraz Island, and finally buy something for everyone on your list at Ghirardelli Square. On the next day, snap pictures at Golden Gate Bridge, then delve into the lush surroundings at Muir Woods National Monument, then tee off at Lincoln Park, and finally wander the streets of Union Square. To see ratings, traveler tips, photos, and other tourist information, refer to the San Francisco online tour itinerary maker . Traveling by car from Carmel to San Francisco takes 2.5 hours. Alternatively, you can fly; or take a bus. In July, plan for daily highs up to 26°C, and evening lows to 16°C. Wrap up your sightseeing by early afternoon on the 18th (Thu) to allow time for travel back home.